It takes 1 second… to miss a stupid step, and now I’m laid up after knee surgery for the next 3-4 weeks… and I’m kicking myself for being – as I always tend to be… too hasty in my activities. But I know that’s useless energy spent… like rocking in a rocking chair… back & forth – doing something – but getting nowhere & getting nothing done fast. So, I’m contenting myself as best I can, with an interesting, historical novel about George Washington’s spies… & I have a lovely candle, scenting the room with mango… I’ve got my fiddle & bow – and a list of over 200 tunes I want to learn… & I’m taking advantage of this down time… all while keeping the boo-boo knee elevated & iced. 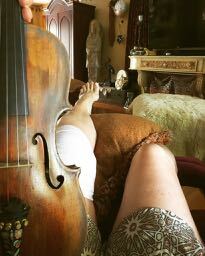 So I’m just working on tunes, new songs… correspondence… and just enjoying the quietness of the tick-tock… of the house. 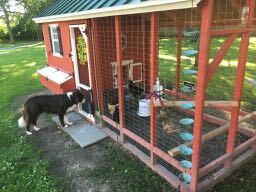 All with my sweet Boone, not far from my side… a constant companion who listens to my every word… & runs herd on the ‘naughty cats’… as he sees fit. 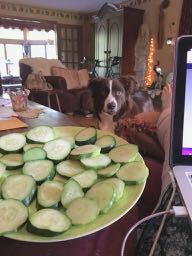 He’s been keeping a watchful eye on me – as I gimp my way to the kitchen & back, or anywhere in the house… and I’m enjoying the fresh garden cucumbers… that Boone loves too… we share. Got my beloved Cannondale 613 – within my view – beckoning & willing me to hasten my recovery. I can’t WAIT to get back on my bike, & rower, back in the sea kayak, back to hikes with ol’ Booney… & especially get well for our upcoming trip back to Ireland again… I long to hike the foot trails along the “Dingle Way” – again… can’t wait! But for now… my gardens lay abandoned… running amuck I’m sure… and I must trust the coop & the chickie’s care to any capable hands that offer assistance… and try and be patient directing necessary activities – from a lazy-boy recliner… ugh. Anyone who knows me – knows I’m not one ever to lounge around… so this is quite an undertaking and lesson in patience for me. I’ll return to the Green – hopefully – next week with my spiffy, green patterned cane… and have a ton of new tunes & a song or two to add to the mix… So…. ’til we meet again – at the Green!!! Share the post "Down Time… well spent…"
← An adventure off of music… but still melodic & artistic!